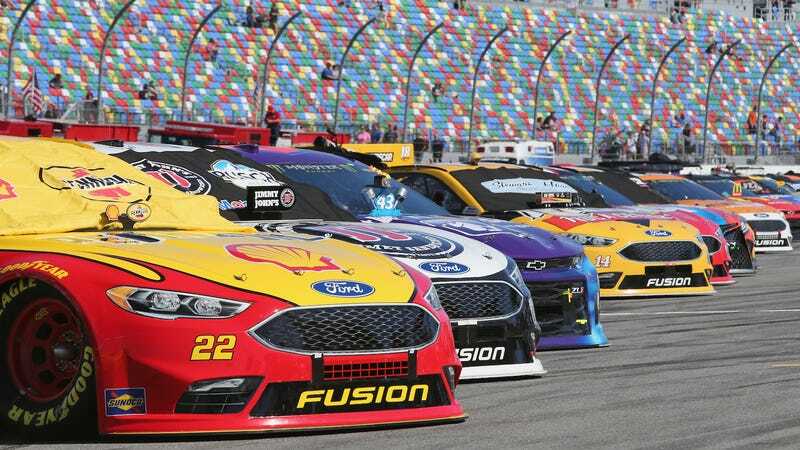 NASCAR announced Saturday that its biggest event, Sunday’s Daytona 500, is sold out for the third year in a row. This also happens to be the third Daytona 500 since Daytona International Speedway finished a multi-year renovation that took out about 50,000 of the nearly 150,000 seats it used to have. The $400-million “Daytona Rising” renovation at the track started in 2013, and it was basically a project to make the grandstands more of a modern hangout than just a big bunch of seats. It made the seats larger, added more concession stands, made social areas and doubled the amount of restrooms at the track. But it also took out a ton of seats. When the huge project was done, the number of permanent seats at the speedway had gone from 146,000 to 101,500. That’s 44,500 seats gone, or 31 percent of its former capacity. Daytona said the seats removed were its “lowest quality” ones on the backstretch, according to ESPN. The Daytona Rising project finished before the Rolex 24 Hours in January 2016, and before the Daytona 500 the next month. NASCAR announced the sellout of stadium seats for the 500 that year, the “first following the completion” of the renovation, about five days before the race. It was only a day before the Daytona 500 when NASCAR announced its second-consecutive stadium sellout in 2017, and the same was the case this year. Jayski.com has attendance numbers between 2007 and 2012, and there were about 175,000 to 190,000 people at the Daytona 500 across those years. That includes people without grandstand seats, since seating was about 150,000. NASCAR stopped giving attendance estimates in its race reports around 2013, USA Today reported at the time, and said race tracks would still have the option of providing them. It seems only natural to provide the estimates when they’re as good as the Daytona 500 ones are this year—on the surface, at least.